Each type of leveler listed above accomplishes different leveling tasks. All of the above variables help to finally determine the overall size and capacity of leveler needed. These variables will also help identify additional options and controls that may be beneficial. Plate levelers flatten both thin and heavy gauge materials. They typically have individual roll adjustment with closed loop control (position/force), therefore allowing for generating machine setting recipes to make operator’s jobs easier. Furthermore, each roll may be driven through a distribution box or individual drives. Corrective levelers straighten thinner materials and have bank-type adjustment of work rolls. They are also equipped with multiple flights of backup rolls. In order to correct minor strip shape defects, roll bending is similarly made possible by adjusting the backup flights. Tension levelers level material by stretching it into plastic deformation. In order to achieve the high amounts of tension necessary, a tension leveler utilizes bridle rolls to isolate tension for leveling. 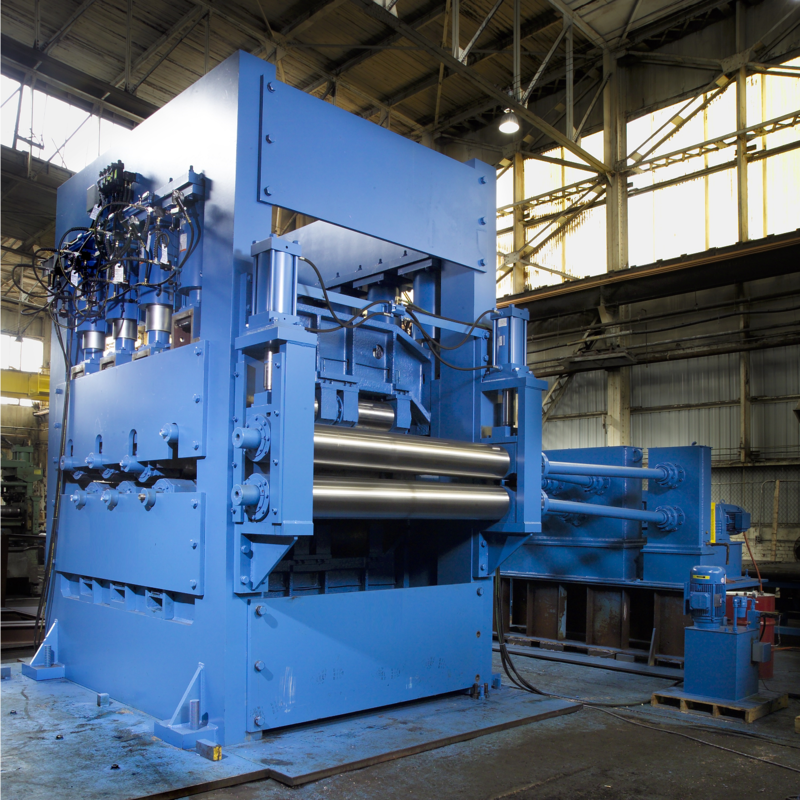 The bridle roll design also allows for controlling tension at upstream and downstream coilers.